Browse our Christmas Shopping Guide to prepare for the festive party season and discover Christmas gifts to suit all budgets. 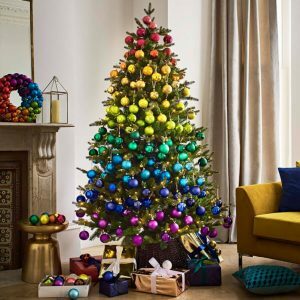 John Lewis & Partners have everything you need for Christmas with decorations, Christmas trees, hampers, luxury gifts, beauty, toys, jewellery, homeware, kitchen essentials and stocking fillers. Looking for the perfect gift that will be treasured forever? Aspinal of London have luxurious handbags, journals, jewellery, cufflinks, wallets, purses, diaries and accessories. Find the perfect gift for friends at Whittard of Chelsea. Select from a range of the most indulgent teas, coffee and hot chocolate or choose from delightful tableware and luxurious hampers. Currys PC World have the latest gadgets, iPads, laptops, cameras and everything you need for your home in TV and entertainment. Waitrose & Partners are taking bookings for Christmas grocery deliveries so sit back and relax whilst you select the finest food, drink and Christmas fare for your friends and loved ones. Let someone special sparkle and shine with a gift from Links of London. Choose the perfect present for your loved one with over 20 collections of beautiful iconic British jewellery, watches and cufflinks. 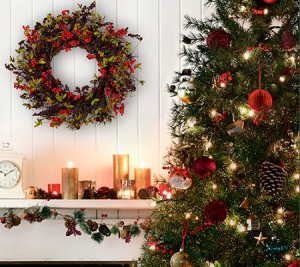 Get into the festive spirit with gifts, food, fashion and homeware from Marks and Spencer. Goldsmiths have the gift that will last a lifetime with diamonds, watches and fine jewellery. Stay fit and healthy over the Christmas holiday period with Asics footwear, clothing, accessories and sportswear for men, women and children. Be ready to party this Christmas with Sk:n Clinics and enjoy rejuvenating facials and specialist beauty treatments. There are beauty advent calendars and stocking fillers that will delight from The Body Shop. Dress in style for Christmas cocktail parties with a glamorous outfit and accessories from Reiss. Find party frocks, accessories and the latest styles at Ted Baker and Topshop. 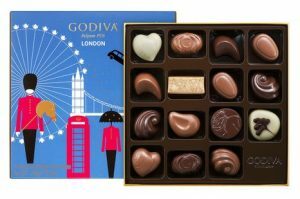 What could be better than waking up to find luxury chocolates in your stocking from Godiva Chocolates where quality is supreme and the chocolates are hand crafted. And indulge yourself with Godiva coffee and biscuits. Neals Yard Remedies have the most delightful organic and natural beauty products for you and your loved ones this Christmas. Snug bedding, perfect pet accessories and delicious food for your pet this Christmas at Waitrose Pet. For the cycling buff find something at Evans Cycles to ensure complete satisfaction in the saddle. Beauty, fragrance and healthcare gifts for everyone in the family at Boots the chemist. Stock up on champagne, wine and spirits for the festive Christmas party season with Waitrose Cellar and enjoy weekly special offers in the lead up to Christmas. Looking for a relaxing sanctuary to stay in or to host guests this Christmas? Travelodge, Britannia Hotels, Millennium Hotels and Radisson Blu Edwardian UK provide plenty of options for a comfortable and cosy retreat. Shop for Christmas trees at John Lewis & Partners and prepare your home for the festive season with a tree to suit your style. Choose the perfect tree from a selection of real and artificial, and indoor and outdoor Christmas trees. Adorn your Christmas tree with a selection of baubles and decorations, ornaments and Christmas lights that will add cheer and twinkle throughout the day and night. Add Christmas cheer to your home with Wreaths and Garlands to sparkle and brighten up each room. Enjoy standard delivery for free on all orders over £50. Click and collect is free from John Lewis & Partners Canary Wharf or Waitrose & Partners Canary Wharf for orders of £30 and over, or £2 if you spend less. It’s a 7-day service so you can shop when it suits you. Simply order online before 8pm today and it will be ready for you to collect after 2pm tomorrow. 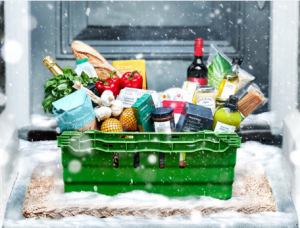 Shop now for Waitrose Christmas offers and choose a delivery slot that suits you or collect in-store at Waitrose Canary Wharf. Choose from delightful canapés to glitzy decorations and cool cocktails, you will find everything you need for the festive season and enjoy top offers on food and wine in the countdown to Christmas. Add a little Heston from Waitrose magic to your Christmas this year with festive puddings and cakes. Discover new treats such as toffee apple mulled cider, and don’t forget the classics including spiced shortcrust mince pies. 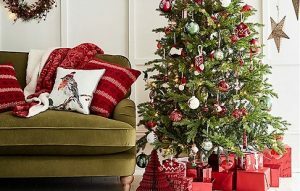 The Marks and Spencer Christmas Shop is open with gift ideas for everyone, hints and tips for decorating your home this Christmas and what to cook for the most amazing festive feast. Shop before 8pm and collect your order tomorrow from midday at Marks and Spencer Canary Wharf. Delivery to your chosen Marks and Spencer store is free.